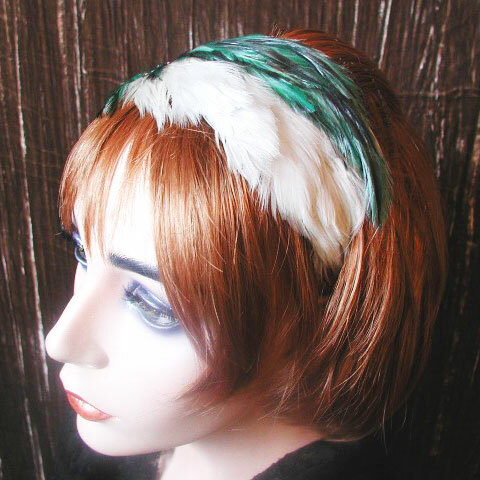 This one of a kind feather fascinator has been made from an unused French vintage feather pad. It has a vintage applique, and little bobbles added at one side. 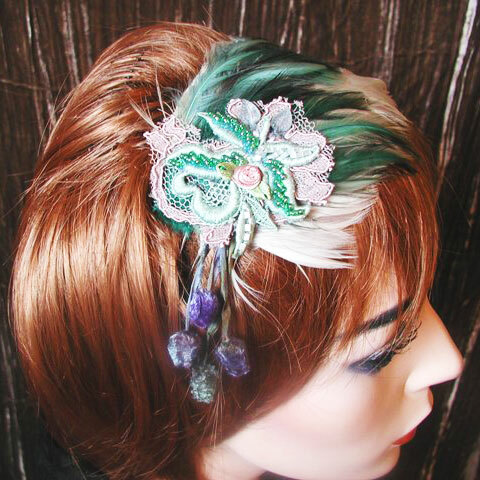 It is attached by a silver coloured hairband, which can easily be hidden by your hair. 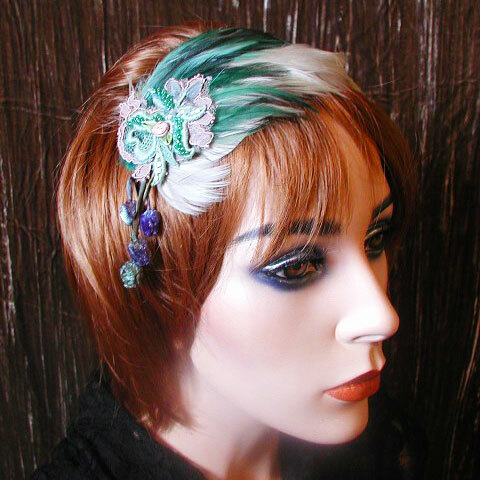 The feather fascinator can be worn with the embellishment at either side. A true touch of glamour and French vintage, for a special occasion, night out…or in!